HIGHLANDERS will be seeking to end their three-game losing streak when they take on Castle Lager Premier Soccer League debutants Herentals in a lunch time kick-off at Barbourfields Stadium tomorrow. 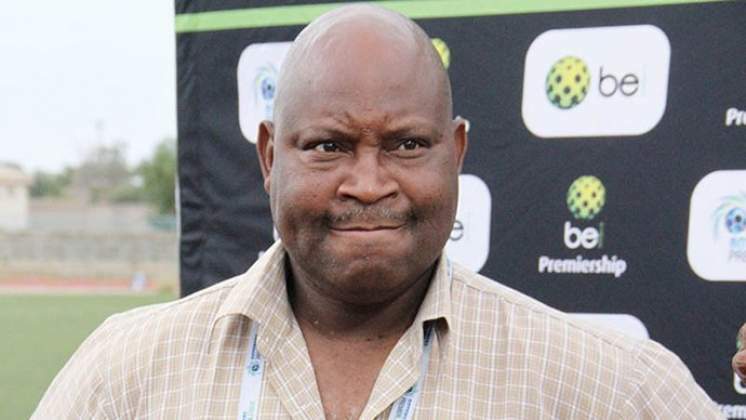 Losing three games on the trot has seen Bosso dropping to seventh place on the table. Their last win came in Week 15 when they beat Harare City 2-1 in the capital. After that they registered losses against Bulawayo Chiefs, FC Platinum and Black Rhinos with identical 1-0 score lines. Their opponents Herentals' confidence is high after overcoming former pacesetters Ngezi Platinum Stars last weekend in one of the biggest upsets on the local scene. The Premiership new boys will march into "Emagumeni" tomorrow with their sight on an even greater upset against Bosso. Ozias Zibande netted twice to help Bosso to a 2-0 victory in the reverse fixture and the hosts will be hoping to complete a double over the visitors. Highlanders' coach Madinda Ndlovu said: "There are going to be changes for the game on Sunday. We did not win the game last week so we have to make corrections. We started the last game very slow and gave away a cheap goal. We have been working at training to rectify mistakes from the last game. If you look at the number of chances that we create and those we convert, you realise that our strike force is our major area of concern. l however feel we will play much better football in this second half of the season." Bosso will be without the services of captain Honest Moyo who is injured. They will, however, be boosted by the availability of new striker Tinashe Makanda who is likely to be given his Bosso debut. The defensive duo of Mbongeni Ndlovu and Bukhosi Ncube are also available for selection after recovering from injuries. Ndlovu said midfielder Denzel Khumalo will return to the first team following his good performances for developmental side Bosso 90. He said he had been following Khumalo's progress and is convinced the youngster is ready for the topflight.